How to Pilgrimage: Make sure you are ready for a weekend of music, culture and fun! The Pilgrimage Music & Cultural Festival is right around the corner! The festival starts THIS FRIDAY, September 23 and lasts through Saturday, September 24 at Harlinsdale Farm. Thousands will be making the pilgrimage to Franklin, but before you do, make sure to take a look at our “how to” guide to ensure a smooth festival experience! Since Pilgrimage is a family-friendly festival, kids are allowed. We even have a special area at the festival called the Lil’ Pilgrims Stage that features renowned children’s musicians and interactive activities for the kids. Also remember that kids 10 and Under are FREE when accompanied by an adult ticket holder. Guests will be allowed exit and re-entry privileges. All entrants must wear a valid event wristband. Festival attendees are subject to pat down and bag search upon entering the entertainment area. Pilgrimage Music & Cultural Festival reserves the right to search all people and property to ensure the security of all person in attendance. Speaking of tickets, you will be able to purchase tickets the day of at the box office at the south entrance. However, attendees are strongly encouraged to buy their ticket ahead of time as the Door Ticket Price increases. In addition to online, you can also purchase tickets in advance from a variety of different locations, including the Franklin Theatre and the Westhaven Residents Club in Franklin, as well as Grimey’s in Nashville. Attendees can park in one of the onsite lots for $20/day or in an off site lot for $10. The off site lots are free if you carpool with three or more people. For those of you choosing to make the pilgrimage by bike or canoe, there will be parking for you outside the gates for you as well! Parking opens at 9 a.m. Parking in Downtown Franklin is allowed in legal parking spots and city owned parking garages. All parking codes will be strictly enforced, including ticketing and towing policies. If you’d rather not deal with parking altogether, there will be a shuttle picking up and dropping off from Hillsboro Village and Germantown in Nashville beginning at 9 a.m. Uber will also be on hand, picking up and dropping off nearby at the Factory. Pilgrimage Music & Cultural Festival encourages a smoke-free environment and asks that you respect the health of your fellow fest-goers and refrain from smoking in any area where it may affect someone else. Please find an isolated area if you must smoke, and dispose of your butts properly, so we can keep our beloved Harlinsdale Farm clean and beautiful! Guests are asked to please leave these items at home: alcohol, food, inflatables, beach umbrellas, knives, weapons, guns, chains/chain wallets, tents, laser pointers, SLRs/professional cameras with removable lenses, pets, large backpacks, musical equipment, fireworks, bicycles and drones. You are welcome to bring a 8’ by 10’ blanket or smaller, low-backed chairs under 30” to ensure good viewing for your neighbors, medium sized backpacks and small digital or disposable cameras. 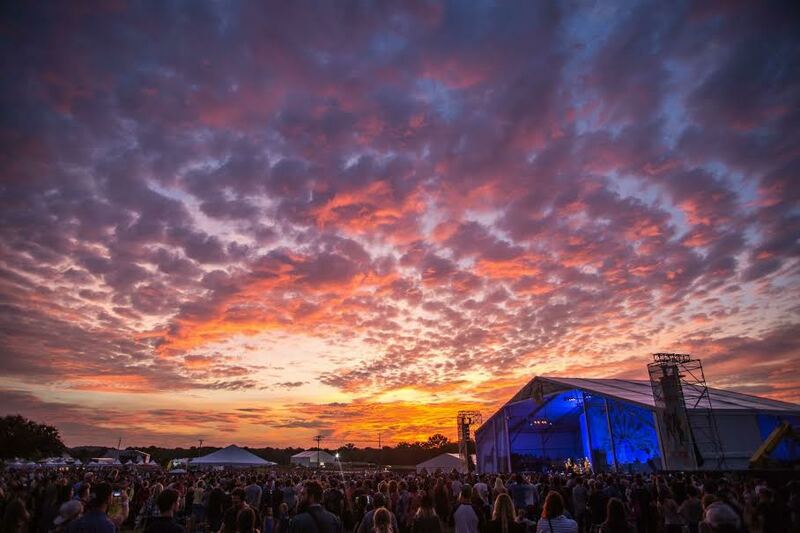 We can’t wait for another incredible year at the Pilgrimage Fest! For more details and a list of FAQs, please click here.